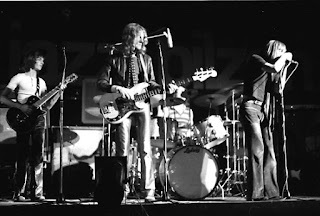 For today’s Now Playing feature I have broken out of the ‘rock room’ vaults a clip of ‘Humble Pie’ on the famed German music broadcast Beat Club filmed in 1970. Decades ahead of schedule and the future popularity of MTV’s Unplugged this extended clip features the original ‘Pie’ line up in an acoustic format. Comprised of front man extraordinaire and in the ‘rock room’s’ humble opinion the most underrated rock vocalist of all time Steve Marriott, a 20 year old Peter Frampton, bassist Greg Ridley and then 17 year old drummer Jerry Shirley this clip is a stellar capture of the diverse abilities of ‘Humble Pie’ and their abilities to express and translate any genre of music. 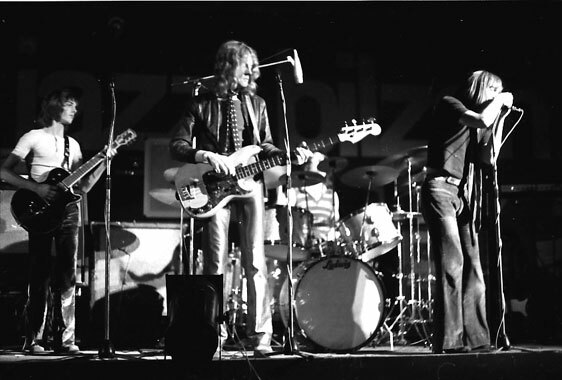 During ‘Humble Pie’s first US tour in 1969 the band spotlighted the members individual talents with an acoustic set. One of the first rock bands of the era to do so. The centerpiece of these sets was a radical acoustic reworking of Graham Gouldman’s (future member of 10cc) ‘For Your Love’. The same song which became the ‘Yardbirds’ first top 10 hit in the US and in the UK in March of 1965. While appearing in concert this track never appeared as a studio cut on any of the Humble Pie LP releases. Historically, ‘For Your Love' also encouraged Eric Clapton to leave the ‘Yardbirds’ because of its pop sensibilities; but later put into the hands of ‘Humble Pie’ it became something entirely different. The song changed from a view through a parascope to seeing a scene in panoramic. 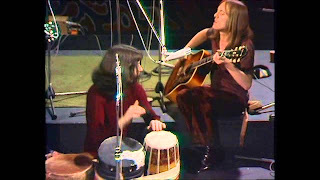 The Beat Club clip begins with Jerry Shirley palpitating a soft tribal groove on hand drums to which plectrum taps by Frampton and Marriott collaborate against the hollow bodies of their acoustics joining in rhythmic syncopation. Ridley plays a descending bass line on the low strings of his 6 string acoustic guitar. Drizzled over this rustic stew Frampton contributes a soft stringy guitar line. Marriott soon after begins his vocal line, singing over the musical embers urged to flame by the intimate sit down. Each element of the song is shuffled into place, a melodic deck of cards, Marriott the Jack of Hearts bearing his soul with a stirring vocal approach. Marriott’s eyes are closed as he soulfully recites the first verse in a total contrast to the songs first reading in 1965. Here the singer/narrator pleads as if his life absolutely depends on the subjects love. This is no joke, this version contains no breakdown designed for dancing. Marriott’s approach squeezes every last intended drop of emotion from the composition. The song dynamically shifts under him with plush changes in tempo that rise and fall in intensity due to the applied pressure of the collaborative strumming. When the ‘For Your Love’ chorus approaches the fresh faced and star bedazzled Frampton joins in vocally and echoes Marriott’s pleading. Both vocals wrap around one another like ribbon on a May Pole streaming and flowered. 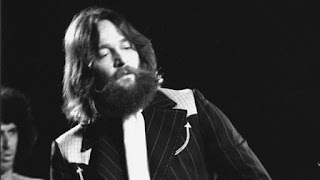 The group, The Band and their heavy influence is notable as the vocal approach instantly reminded me of their own arrangements highlighted on the 1969 The Band album. Following the first sets of verses Frampton lends additional tasteful, crisp and understated guitar lines. The music soon trails away, leaving only particulates and the organic percussive tapping which opened the number. Marriott sings the next verses with each breath of life carefully measured, his voice moving against the shore of the song like the soft foam of ocean tides, before crashing into the rocks briskly and with grit. The three guitars and hand drums undulate, keeping time yet drifting patiently and sometimes slowing like the lost wind of an antique clock. What is stunning about this performance is the total immersion in the song by the band. The concentration of each member and their respective compositional responsibilities creates a stunning and substantial whole. Like the fresh beginning of a relationship, in this clip, Humble Pie are in the troughs of excitement and wonder. The members are learning, creating and expressing without a thought for the future and the resulting music is unique and magical. 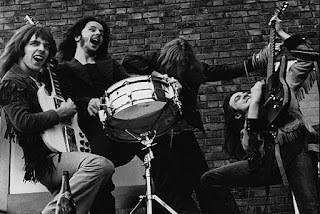 While Humble Pie would lose Frampton by the end of 1971, they would continue to contribute quality music for most of the decade. But their early and formative recordings, similarly to the focus of this rock rant were revolutionary and influential. Their live performances show stopping. (See Performance-Rockin the Fillmore) The Rolling Stones, Led Zeppelin, Faces and other contemporaries can be found taking bites from the Pie, borrowing from the band in a obvious show of respect. 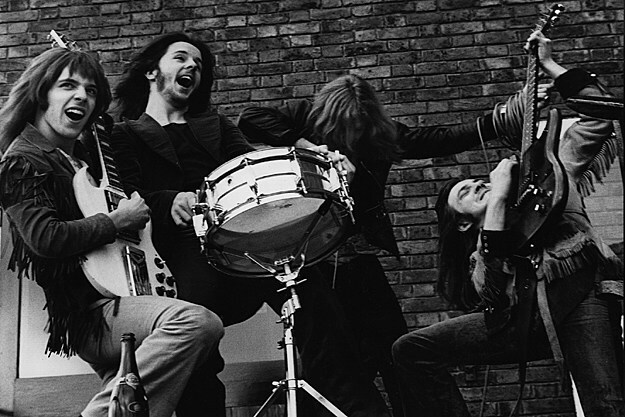 The Humble Pie from Beat Club 1970 is arguably close to the best the band would ever be. The song is stunning, the interplay organic and the result of the performance musically amazing.